The agency wants to examine Karti in a case related to Foreign Investment Promotion Board (FIPB) clearance given to INX Media for allegedly receiving funds from Mauritius. 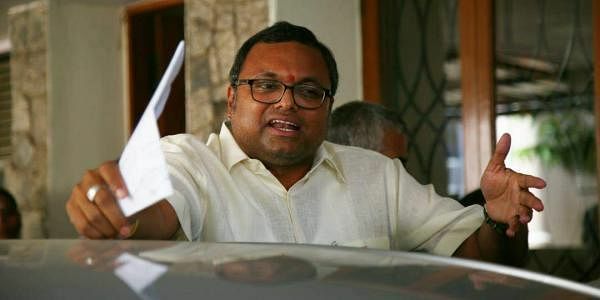 NEW DELHI: The CBI on Wednesday summoned Karti Chidambaram, son of former Union finance minister P Chidambaram, for questioning in a corruption case relating to grant of Foreign Investment Promotion Board (FIPB) approval to INX Media. This is the third notice the CBI has sent to Karti. Through the latest summon, the CBI has asked Karti to appear before it on Friday at its headquarters here. The agency is seeking to interrogate Karti in the case relating to FIPB clearance given to INX Media for receiving funds from Mauritius when P Chidambaram was the Union finance minister. Earlier, the CBI had summoned Karti and four other accused to appear before it for questioning on June 27 and June 29. However, they failed to appear. Karti had informed the CBI through his lawyer that he needed more time to appear for questioning. The agency had on May 15 this year registered an FIR against Karti and others on charges of criminal conspiracy, cheating, graft and criminal misconduct. According to the CBI First Information Report, Karti is alleged to have received `3.5 crore from Mumbai-based INX media for facilitating it in getting FIPB clearance to the firm then run by Peter and Indrani Mukherjea. After registering the case, the CBI had conducted raids at the premises of Karti, Peter, and Indrani at 14 locations in Delhi, Mumbai, Chennai, and the National Capital Region (NCR) in connection with the case.